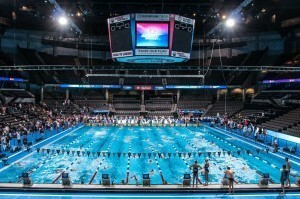 USA Swimming has released psych sheets for next week’s Winter Nationals. To kick things off, Mallory Comerford is entered as the top seed in the women’s 500 by over three seconds. 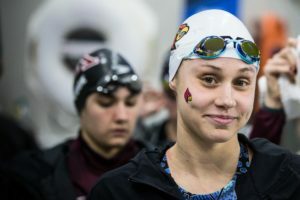 She will also duke it out with Olivia Smoliga in both the 50 and 100 free, and is the top seed in the 200 free over Melanie Margalis by a wide margin. 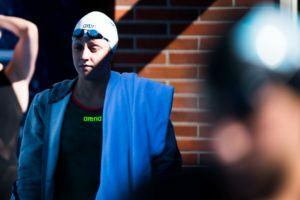 Comerford is also entered in the 100 fly, which she hasn’t swum in almost a year. In addition to her signature 100 a 200 fly, Kelsi Worrell is entered in the 100 back and 100 free. The men’s 200 IM will certainly be one of the more exciting events of the weekend. The top six spots feature Chase Kalisz, Ryan Murphy, Josh Prenot, Michael Andrew, and Reece Whitley, with the one-seed going to Mark Szaranek and his 1:40.67 from NCAAs last year. Kalisz is also entered in the 400 IM, 200 free, 200 fly, and 200 back. In addition to the IM, Murphy is slated to swim the 200 free, 100 back, and 200 back. Whitley, Andrew, and Cody Miller are seeded 1-2-3 in the men’s 100 breast, followed by three other 52-low swimmers. In addition to the 200 IM and 100 and 200 breast, Whitley is entered in the 400 IM. Miller is also the three-seed in the 200 breast, and Andrew is also entered in the 50 free, 100 free, 100 fly, and a rare 200 breast. 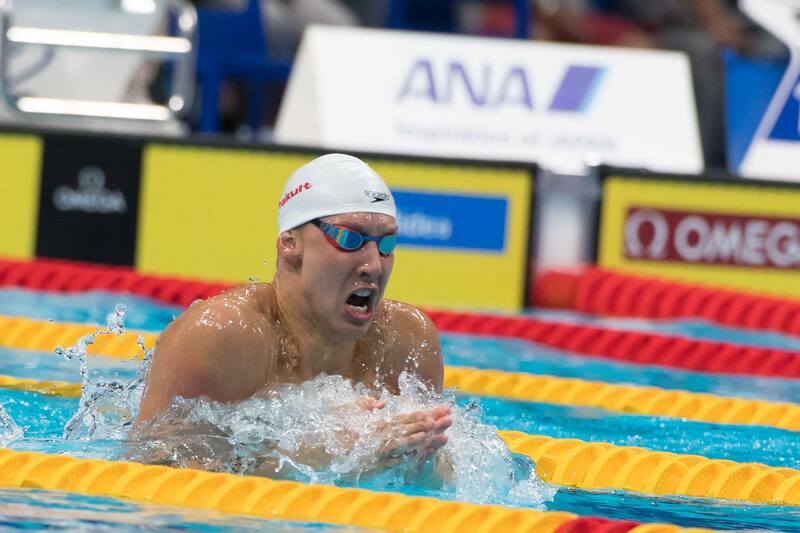 In addition to his typical 50 and 100 free, Nathan Adrian is entered in the 200 free. If he’s fully tapered, it would be fun to see Murphy throw down some best times. Could be a big confidence booster after this previous summer. 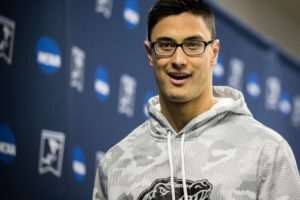 Best shot at PB would be 200 back, simply because his best time came on last day of 2016 NCAAs on his something like 14th swim when he had to be incredibly leg weary. What’s his PB in the 200 Free? I’ve been a huge Murphy fan and sometimes get a little lofty with my predictions but I bet he could go a 1:31 in the 200 free. I don’t think he has ever got to swim a 200 free while rested (he did get to go in the relay last year at NCAAs but not from a flat start. At NCAAs, he went 1:32 with a relay start. It’s very unlikely he will go 1:31 at a mid season meet that he probably won’t shave or rest very much for. 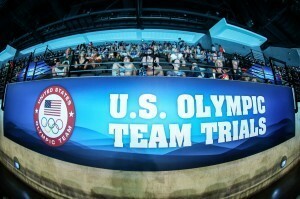 No Lochte, no Phelps…it just does not feel right! we still need to see Lochte ‘s form in the pool …..